Kristen Kenley is an Associate in Moore & Van Allen's Charlotte office. Kristen’s practice involves working with clients facing high-stakes litigation, regulatory, and reputational issues, taking an enterprise-wide approach to advising and advocating for large companies and their owners. In her litigation practice, Kristen has represented companies and their officers and directors in a variety of matters in state and federal court, including lawsuits alleging breaches of fiduciary duties, trade secret violations, and litigation arising out of commercial contracts and transactions. Kristen also has extensive experience representing clients in civil litigation and against governmental agencies, primarily related to ERISA, with a focus on matters involving ESOPs and complex valuation disputes. Kristen’s regulatory practice includes representing clients that are the subject of government inquiries and representing clients during internal investigations and white collar criminal defense matters. Kristen represents major financial institutions responding to global governmental investigations, and she has assisted clients in matters before the DOJ (Main Justice and U.S. Attorney’s Offices), SEC, CFTC, the United Kingdom FCA, the European Commission, and the Japan Fair Trade Commission. Kristen also has substantive experience representing and advising clients during investigations by the DOL related to ERISA. 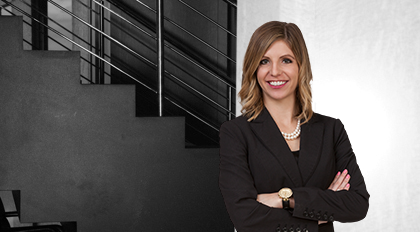 As part of her regulatory and compliance advisory experience, Kristen also assists clients with corporate governance matters and other regulatory compliance issues.